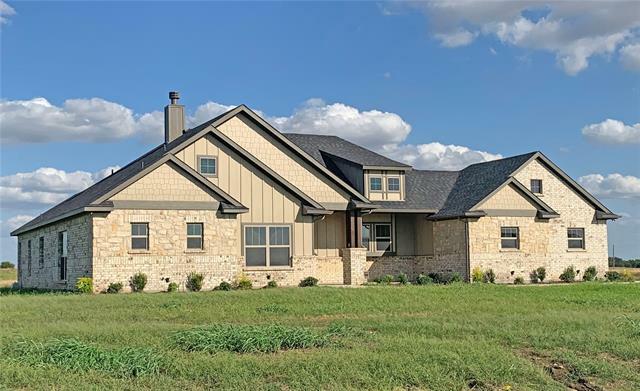 All Krum homes currently listed for sale in Krum as of 04/24/2019 are shown below. You can change the search criteria at any time by pressing the 'Change Search' button below. 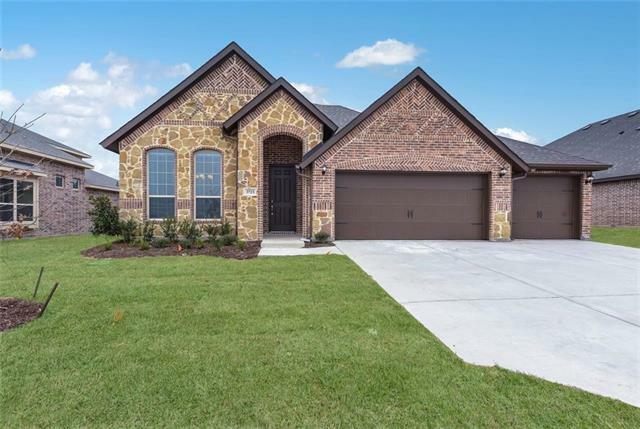 If you have any questions or you would like more information about any Krum homes for sale or other Krum real estate, please contact us and one of our knowledgeable Krum REALTORS® would be pleased to assist you. 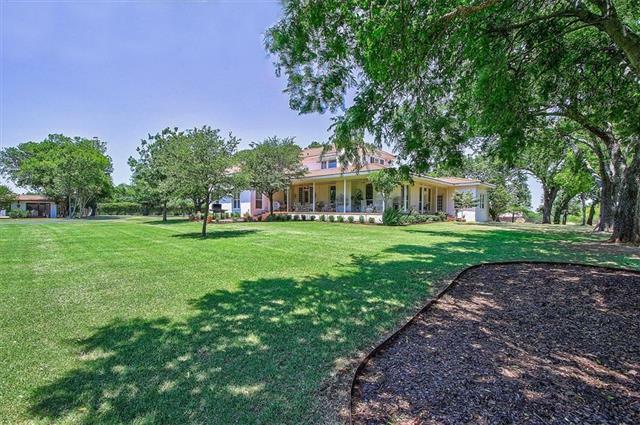 "This historic ranch home was built in the early 1900's and once had over 3300 acres. It was called the Golden Hoof Ranch. Many articles were written about the Christal family and their summer home as they called it. This beautifully restored home features five bedrooms and five bathrooms, three living areas, large pool and cabana, tennis court, detached guest quarters, water well, and barn. All of this resting on 25.6 acres in the county. Showings are by appointment only." "GORGEOUS CUSTOM LOG MANSE BUILT IN 2009 SITS ON OVER 11 ACRES OF LAND. FEATURES A MASSIVE COOKS KITCHEN WITH LARGE CENTER ISLAND FLANKED BY BREAKFAST AREA AND FORMAL DINING. THIS MODERN, WELL CRAFTED LOG CABIN BUILT OF HIGH END MATERIALS HAS AN OPEN CONCEPT FLOOR PLAN, FIREPLACE IN GREAT ROOM, BEAUTIFUL MASTER SUITE WITH LARGE EN SUITE BATH AND WALK IN CLOSET, ONE MORE BEDROOM AND STUDY ON 1ST FLOOR, 2ND FLOOR BOASTS BILLIARD ROOM, 2 VERY LARGE BEDROOMS, STORAGE CLOSET. THE OVER-SIZED ATTACHED T"
"WANT TO BE AWAY FROM THE HUSTLE AND BUSTLE, BUT STILL CLOSE TO CONVENIENCES OF THE CITY? NEARLY 11 ACRES WITH A 2 STORY HOME, OPEN FLOOR PLAN WITH A POOL, SPLIT BEDROOM ARRANGEMENT, MASTER ON FIRST FLOOR. 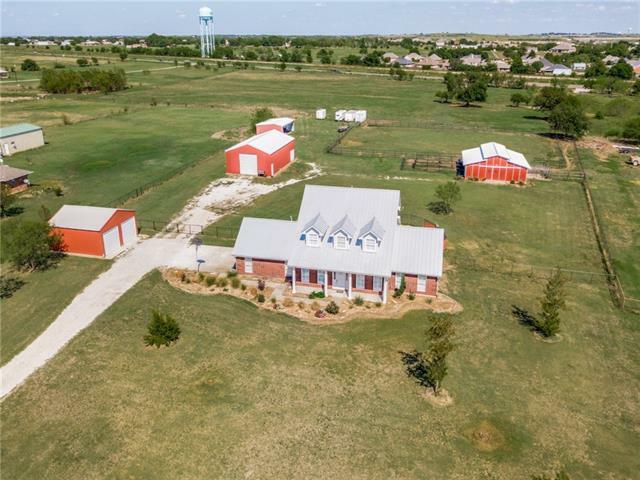 OUTSIDE THERE IS AN ADDITIONAL 24X26 DETACHED GARAGE WITH LOTS OF EXTRA WALL PLUGS, LIGHTS AND ELECTRIC DOORS, PLENTY OF ROOM FOR HOBBIES AND STORAGE IN THE 30X50 SHOP WITH ELECTRICITY, 36X36 4 STALL HORSE BARN WITH FEED AND TACK ROOM, WATER AND ELECTRICITY, AND 24X36 TRACTOR OR HAY BARN. MA"
"Welcome home to the country. 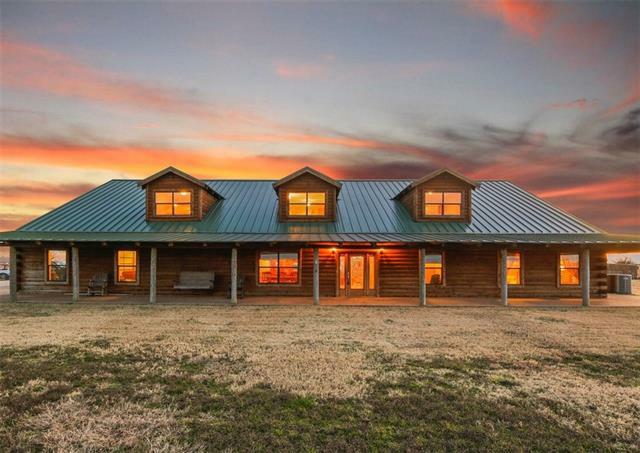 Sit on the large wrap around porch sipping tea and watching the Texas sunsets. This farmhouse has a small guest house in the back with a 30 by 40 shop or garage. There is plenty of room to roam. Bring your horses." "Beautiful home on 2 acres just outside city limits. Perfect setup for multi-generation family or large family with a home based business. Beautifully maintained with iron fencing, gate, circular driveway, spacious gazebo, & plenty of concreted parking area and storage. Main House features an open floor plan, 5 bedrooms and 3 bathrooms all on the 1st level. Lofted 2nd level offers large living area. Spacious master suite has vaulted ceilings, bay windows, double vanity, garden tub, separate "
"This property is amazing! Beautiful 2659 SF, 5 BR, 3 Baths, 2 Car Garage or the 5th bedroom can be a Gameroom. An Incredible Saferoom (4x6) is built into the home. A 20x30 Shop is constructed on the 2.03 Acres property. Construction & Design is of the highest quality. Master Closet has a Direct access to the Utility Rm. High Efficiency Insulation throughout the complete home, including the Attic which will provide guaranteed low energy costs for heating & cooling. This Neighborhood, Legacy Ranch"
"This property is amazing! Beautiful 2800 SF, 4 BR, 3 Baths, 2 Car Garage with Gameroom and Study. An Incredible Saferoom (4x6) can built into the home. A 20x30 Shop can constructed on the 2.03 Acres property. Construction & Design is of the highest quality. Master Closet has access to the Utility Rm. High Efficiency Insulation throughout the complete home, including the Attic which will provide guaranteed low energy costs for heating & cooling. This Neighborhood, Legacy Ranch, is designed to pro"
"This property is amazing! Beautiful 2996 SF, 4 BR, 3 Baths, 2 Garage & Study. An Incredible Saferoom (4x6) can be built into the home. A 20x30 Shop is constructed on the 2.29 Acres property. Construction & Design is of the highest quality. Master Closet has access to the Utility Rm. High Efficiency Insulation throughout the complete home, including the Attic which will provide guaranteed low energy costs for heating & cooling. This Neighborhood, Legacy Ranch, is designed to provide a Country lik"
"This property is amazing! Beautiful 2659 SF, 4 BR, 2.5 Baths, 2 Car Garage. An Incredible Saferoom (4x6) can be built into the home. A 20x30 Shop is constructed on the 2.03 Acres property. Construction & Design is of the highest quality. Master Closet has access to the Utility Rm. High Efficiency Insulation throughout the complete home, including the Attic which will provide guaranteed low energy costs for heating & cooling. This Neighborhood, Legacy Ranch, is designed to provide a Country like "
"This property is amazing! Beautiful 2361 SF, 4 BR, 3 Baths, 2 Car Garage. A 20x30 Shop is constructed on the 2.03 Acres property. Construction & Design is of the highest quality. Master Closet has plumbing & Electricity for a Stackable Washer & Dryer. High Efficiency Insulation throughout the complete home, including the Attic which will provide guaranteed low energy costs for heating & cooling. This Neighborhood, Legacy Ranch, is designed to provide a Country like setting with a comfortable env"
"This property is amazing! Beautiful 2000 SF, 4 BR, 2 Baths, 2 Car Garage. An Incredible Saferoom (4x6) can be built into the home. A 20x30 Shop is constructed on the 3.19 Acres property. Construction & Design is of the highest quality. Master Closet has access to the Utility Rm. High Efficiency Insulation throughout the complete home, including the Attic which will provide guaranteed low energy costs for heating & cooling. 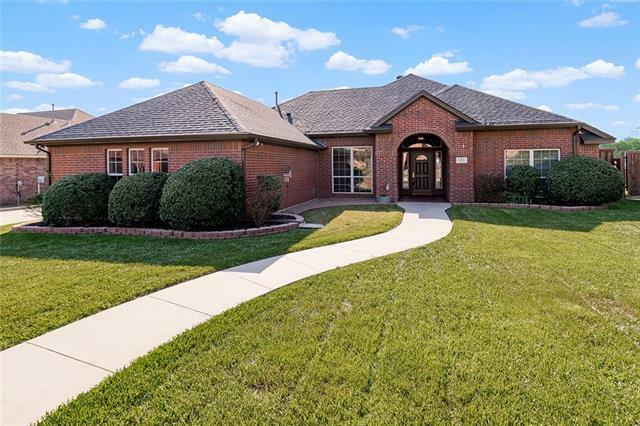 This Neighborhood, Legacy Ranch, is designed to provide a Country like se"
"Enjoy the rolling pasture and stocked pond on your very own 2.5 acres just minutes N of DFW. 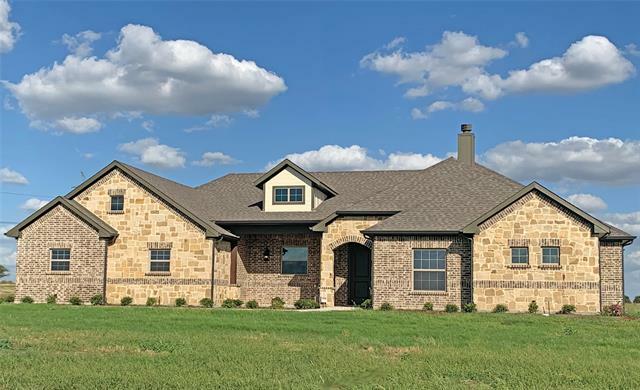 This beautiful and well maintained home in acclaimed Krum ISD features recently updated kitchen with new stainless appliances, wine fridge and gorgeous backsplash. You ll love the beautiful wood laminate floors. The oversized Master suite overlooks the property and features a fireplace and 2 FULL bathrooms. Garage is climate controlled and has elevator with access to attic. 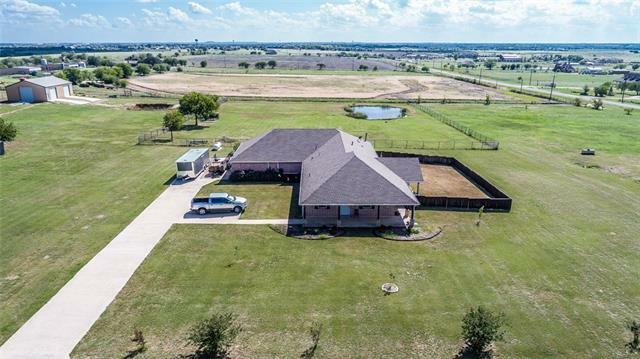 There is also a horse barn, "
"Located just 45 minutes from Downtown Fort Worth lies this beautiful custom built home sitting in 2.5 acres! This 3 bedroom 2.5 bath home feature, wood flooring, granite countertops, SS appliances, and a 1 bedroom guest quarters (in law suite) with its own full bath! 40X60' covered barn with electricity and it's own wood burning fireplace, two 12x10' roll up doors (1 manual 1 electric) plenty of covered parking, stock pond, and a remote controlled entrance! This homes has is all and more! Schedu"
"MLS# 14006888 - Built by Impression Homes - CONST. COMPLETED Feb 28 ~ Very Popular Durham II plan by Impression Homes! With 3 Car Tandem Garage. this home has Wood Looking Ceramic Tile in most of Downstairs, Cabinets upgraded the home is Bricked with Stone on Front! Open design with large covered Patio and a huge upstairs gameroom! Come see another great new offering from Impression Homes!!." "Krum school district! A little bit of country in the city. 4.8 acres is fenced for animals. 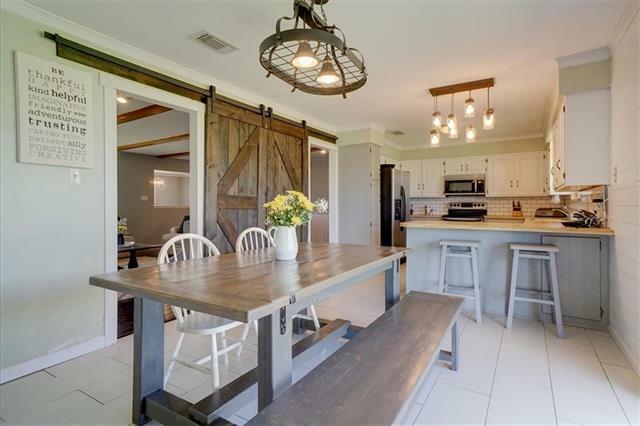 Adorable farm house with updates such as built ins, fixtures, barn doors and some bead board walls. 3 bedrooms and 2 and a half bathrooms. Main living area has built ins with a wood burning fireplace. 2nd living area could be an office or a play room for kids. Master bedroom has custom built in closet system and is large enough for a sitting area. 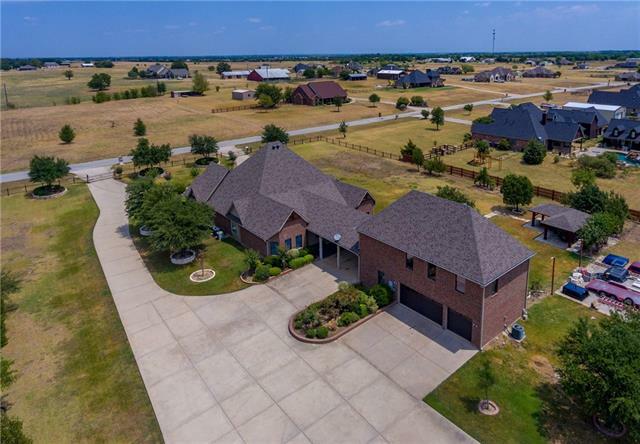 Master bathroom has double sinks and a walk in closet"
"Spacious 4 Bedroom 3 Bath Custom Built Brick Home, Salt Water Pool with Waterfall in Krum's Most Sought After Neighborhood. Open Living with Gas Log Fireplace. 2 Dining Areas Plus Breakfast Bar. Granite Counters, Custom Cabinets, Gas Cook-Top, Built-In Oven. 2 Master Suites with Split Bedroom Arrangement. Main Master Offers Jacuzzi Tub, Separate Shower, Walk-In Closets. Large Walk-In Shower in 2nd Master. 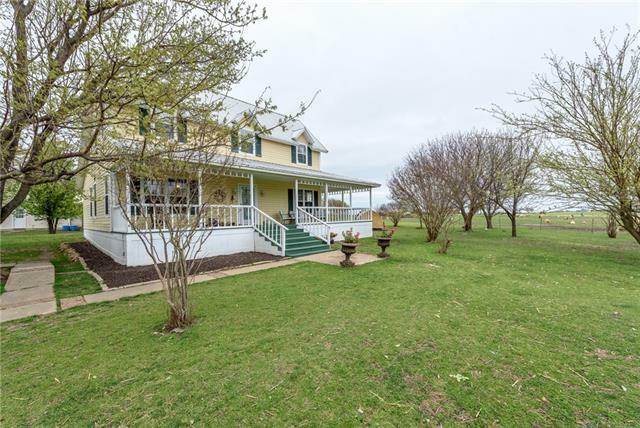 Covered Porches, Large Covered Back Porch Great For Cook-Outs or Just Relaxing Overlooks Sw"
"Welcome home to the country. Sit on the large wrap around porch sipping tea and watching the beautiful Texas sunsets. 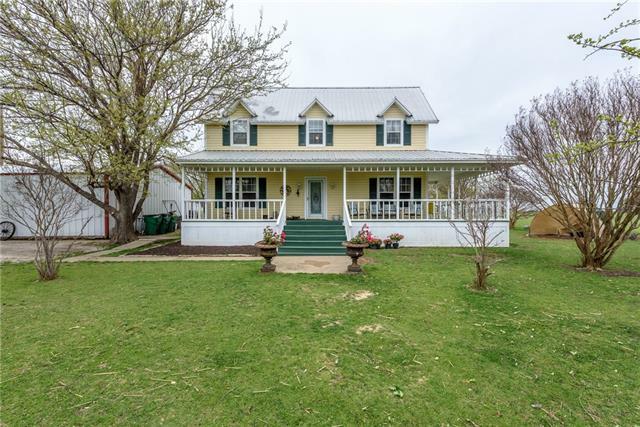 This farmhouse has a small guest house in the back with a 30 by 40 shop or garage. There are two loafing sheds as well as a small barn or storage building"
"MLS# 14030457 - Built by Impression Homes - CONST. COMPLETED Feb 25 ~ Large ONE story offering by Impression Homes the popular Durham Plan! Complete and ready for move in NOW! This is in Impression Homes newest location in Krum, Texas. Just minutes from the Krum ISD Schools. Very Easy access to I-35 and Denton. This home has our Dialia Package of upgrades. With Durable Vinyl Plank Floors, Upgraded Cabinets, Stainless Appliances, Sprinklers, 2 inch Blinds and much more!!!." 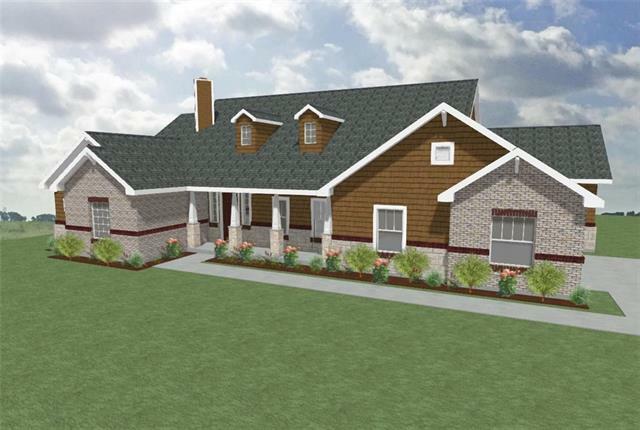 "MLS# 14030486 - Built by Impression Homes - CONST. 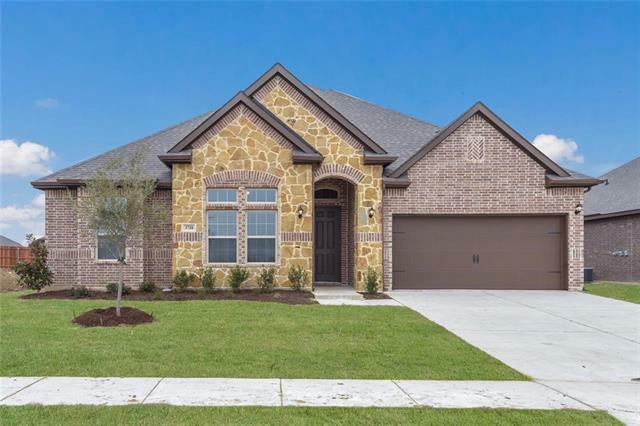 COMPLETED Feb 25 ~ Best Selling Impression Homes Balmorall II plan ready NOW in Krum. This home is complete! Very Open Concept! 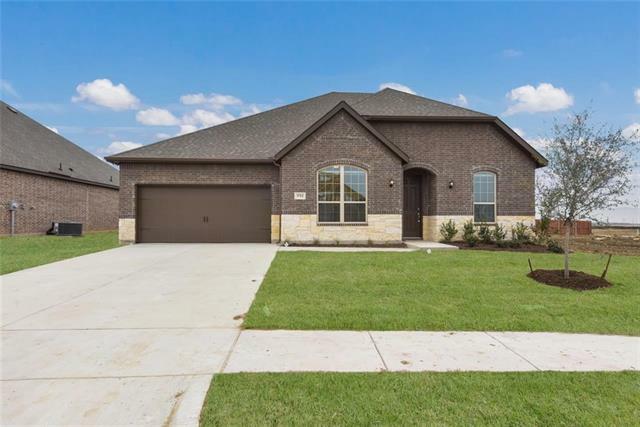 Large Study, Upgraded Cabinets and Counter Tops, 2 inch Blinds, Garage Door Opener, Stone on Exterior Elevation, With Covered Back Patio, Close to Krum ISD Schools and the center of Krum, just minutes from I-35 and Denton. This home has so many great upgrades! its a must see and can be moved in very SOON!." 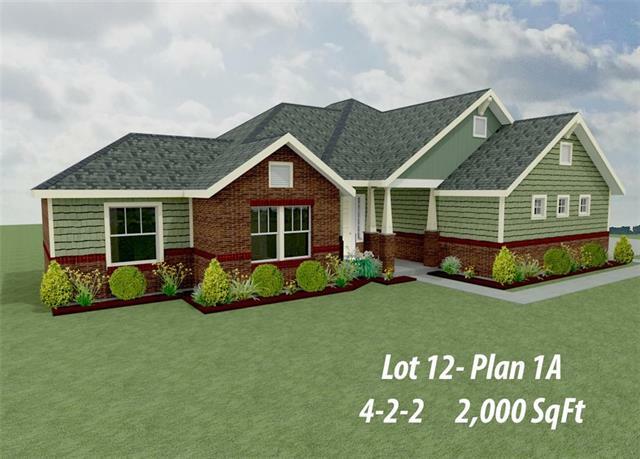 "MLS# 14006866 - Built by Impression Homes - CONST. 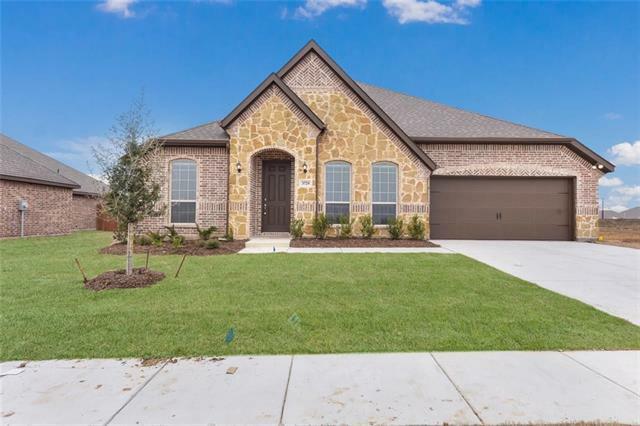 COMPLETED Feb 28 ~ NEW Impression Home in newest community in Krum Texas! This very open home is looking great! Ready for a new homeowner! 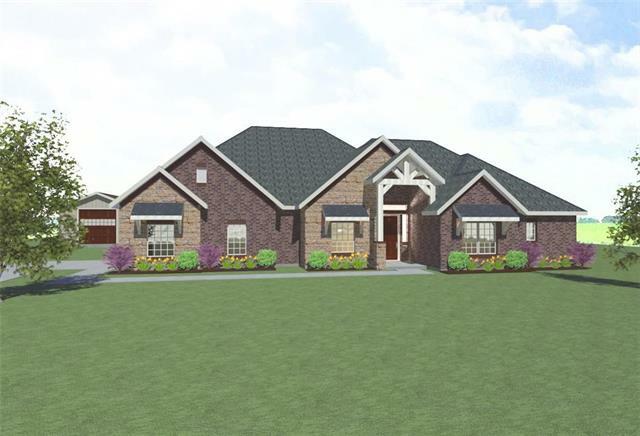 Huge Master Suite, Large Covered Patio, Very Open Kitchen and Family Room, Grey Cabinets, Quartz Countertops, Come see this great new offering from Impression Homes!." 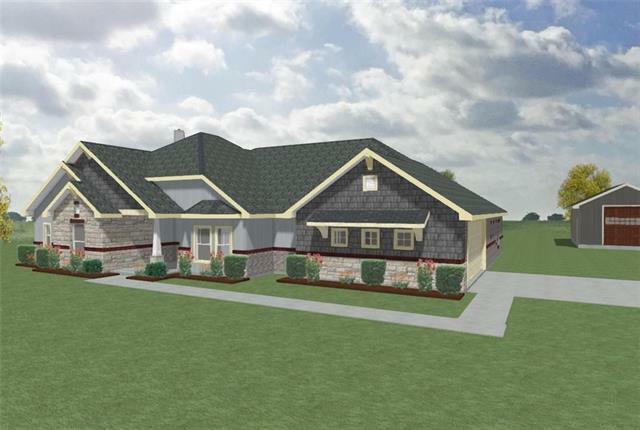 "MLS# 13990627 - Built by Impression Homes - CONST. 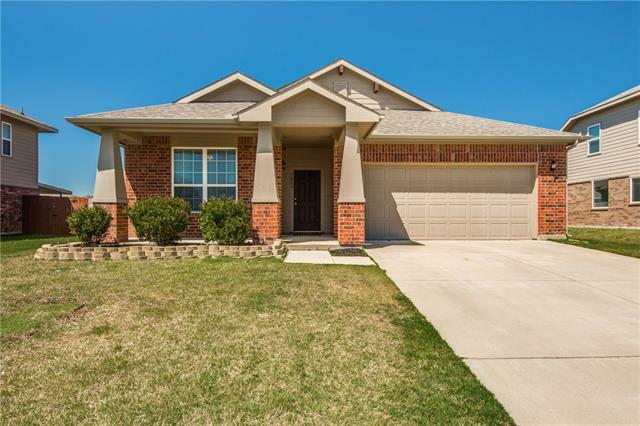 COMPLETED Feb 28 ~ 3 Car Garage home in Hopkins Meadows a ideal location close to Denton I-35 and the Krum ISD schools. This open design has a covered back patio! It will come with all the great Impression Home standard features. Quartz counter tops 2 inch Blinds Garage Door Opener upgraded Cabinets and Much More!." "RARE FIND! 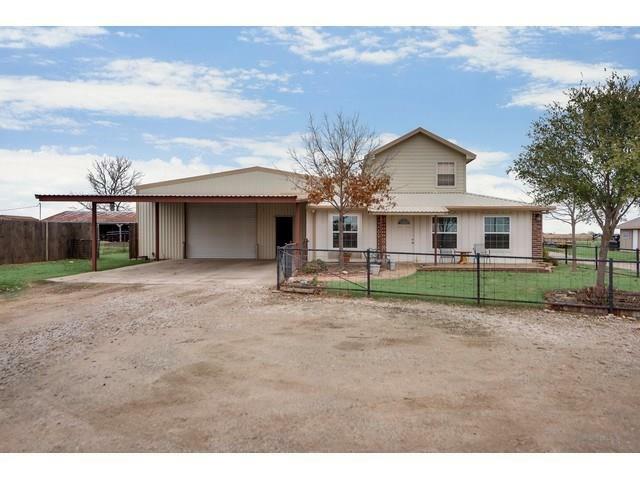 UPDATED, 1613 sqft, move-in ready home on .75 acres! This beautiful home features an open-floorplan living, dining, and kitchen, with hardwood floors, granite countertops, custom cabinets, built in office space, 3 bedrooms, and 2 bathrooms. Master bath boasts a large walk-in shower, and dual sinks. Large backyard is completely fenced, with double gate to enter the rear part of the property. Backyard also contains a separate fenced dog run, and cement patio for entertaining or grilling"
"Spacious Home with Great Layout in Krum! Open Concept Kitchen and Living Room over looking Saltwater Pool with Waterfall. Master Bedroom and 2 Secondary Bedrooms Downstairs, Gameroom, 4th Bedroom and 3rd Bathroom Upstairs. 8 Foot Board on Board Fence and Privacy Latice give this backyard oasis plenty of privacy. 3 Car Tandem Garage. New 30 Year 3 Tab Roof. This Is A Lot Of House for The Money!" "Beautiful Home in Saddlebrook Estates in Krum, Texas. 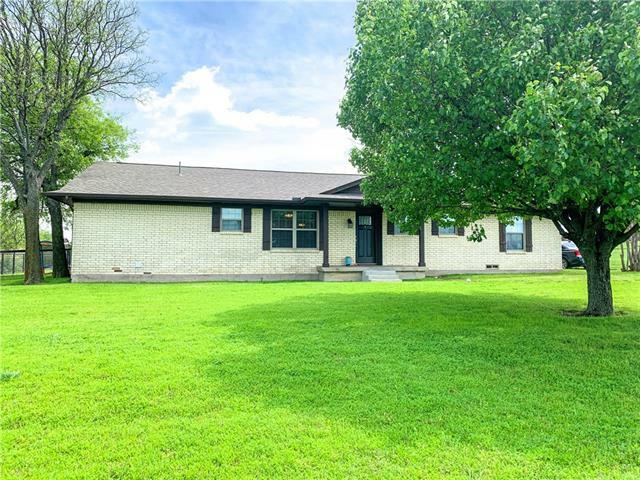 Sought after home because of location near schools and easy access to I-35. 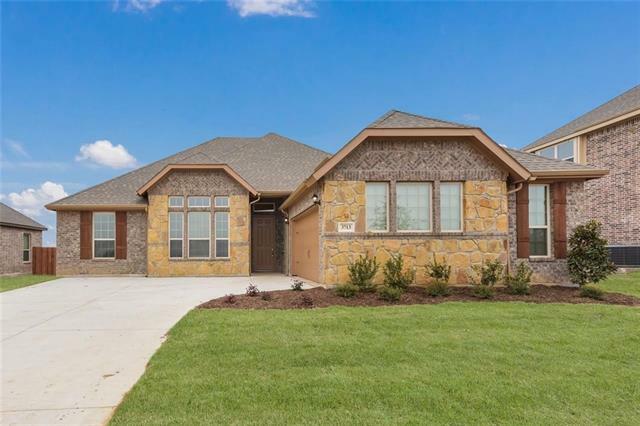 This home is 5 minutes from all the new restaurants and stores in the new Rayzor Ranch Development in Denton. 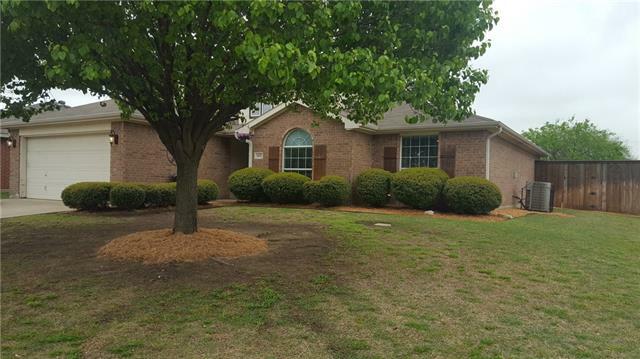 This home has been very well maintained updated. Home has an open concept with kitchen island, breakfast bar, nice wood floors in living room and ceiling fans in living room and all bedrooms. The master bedroom is good size with a huge closet and garden tub "